USA Automotive is an authorized North Carolina State Inspection Station and Emissions service provider for all makes and models of cars, vans, crossovers, trucks, and SUVs. The state inspection determines whether or not your car is safe to drive on the road based on NC Department of Transportation (NCDOT) standards, and it is a requirement for your yearly vehicle registration. Whether you need to renew your annual vehicle registration, or you just moved to Raleigh and need to register your vehicle, your car will be required to pass a state inspection and an emissions test. Our team will conduct both the safety and emissions test at one time since both are required. Once your car has been inspected, we will enter your results into a database for the NCDOT so that you can complete your vehicle registration process. To complete the payment for your registration, you can visit your local DMV, send payment by mail, or pay online. What if My Car Doesn’t Pass Inspection? Occasionally, a vehicle will not pass inspection, which can be for various reasons. For the safety inspection, your car will be tested on a variety of requirements, including the function of headlights, directional signals, steering, windshield wipers, and brakes. If your vehicle needs new wipers, for example, we will inform you and replace them on the spot. The emissions test is part of North Carolina’s goal to limit ozone-forming emissions from cars and trucks to protect the environment. If your car emits more pollutants than is accepted by state law, it will not pass the emissions test. If your vehicle does not pass one or both of the inspections, do not worry! Our team is able to repair your car and perform the services needed to ensure your vehicle passes the second time around. 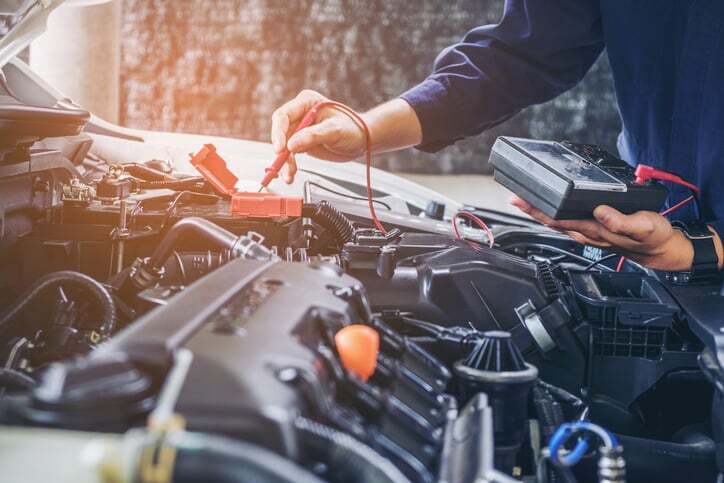 Our ASE Certified technicians have the experience to repair on all vehicle makes and models and use the latest diagnostic tools and high quality parts for every service. Schedule Your Car Inspection Today! 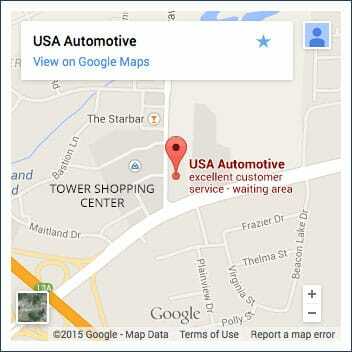 At USA Automotive, we know that you do not want to wait long for your car inspection, especially if you have a well-maintained vehicle. That is why our technicians have the experience to provide fast, efficient car inspections that uphold the requirements outlined by the motor vehicle laws of NC. We’ll get you back on the road and on with your day as quickly as possible! For your convenience, use our online form to request an appointment for your car’s state inspection and emissions test, or simply give us a call at 919-249-5295. We look forward to helping you take care of your car and making sure that it passes inspection!